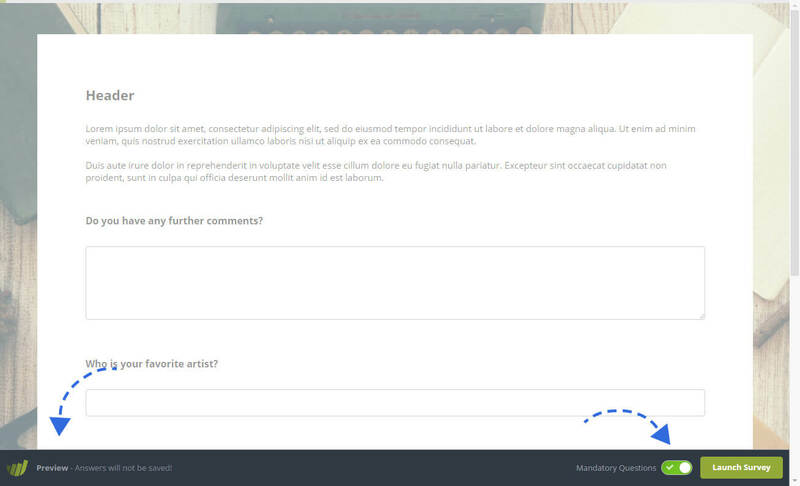 We recommend that you preview and test any survey before sending it out into the wild. By previewing your survey, you can make sure that all questions and settings are correct and that everything is in the right order. Giving your survey a look over and doing a test participation, as if you were a respondent, will help you spot questions that are not clear enough or that may be in the wrong location. To preview your survey, simply click the “Preview Survey” button on the upper right corner. Clicking this button will open your survey preview in a new window or tab. The design, usability and functionality of the Survey Preview will show you exactly what your participants will experience. The only difference from the live survey is the “Preview Bar”, located at the bottom of the screen, and that any answers collected during a preview will not be saved. It is therefore very important not to share this link with people you would like to participate for real. However, you are welcome to share the preview link with other people for testing purposes. On the right side of the preview bar, you will find a toggle switch that allows you to temporarily disable required questions during the preview. This way you can navigate between pages without the need of filling in every required question. 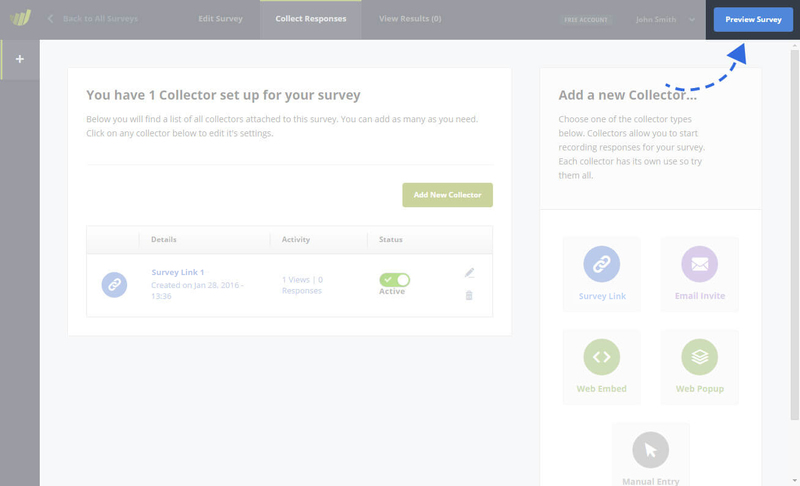 There is also a “Launch Survey” button: This will simply take you to the “Collect Responses” section where you can create a collector. 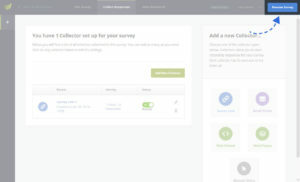 Another option for testing your survey would be to create a test collector. That way you can also collect some example responses and simply delete them later again. To find out more about creating a collector link click here.